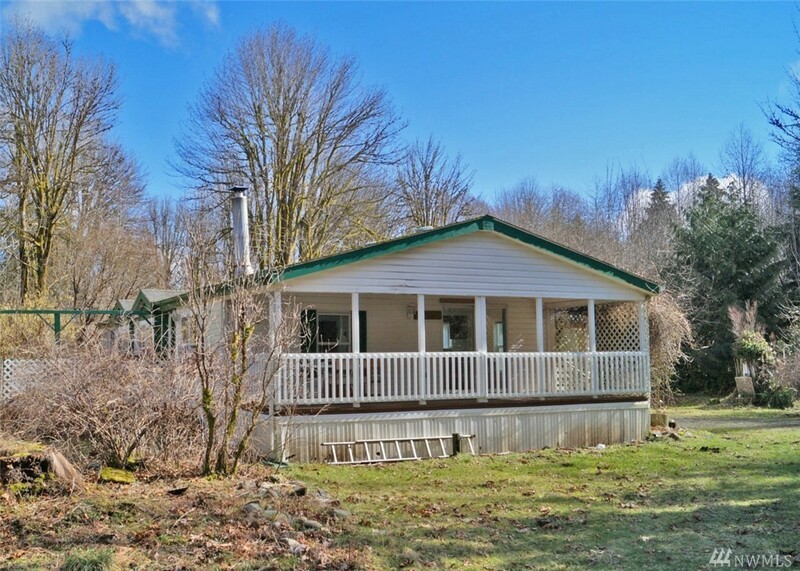 This very cool 2 bedroom manufactured home is located on a beautiful 5 acre parcel near the end of Maple Rock Road. Lots of recent upgrades makes it "move in" ready!. The Greatroom features vaulted ceilings, a nice fireplace in the living area with a wood burning insert, a good sized dining room and a kitchen that opens up to the rest of the living area keeping you part of the party!. The master bedroom is HUGE and includes its own bath with a big soaking tub . Includes a HUGE shop/garage.